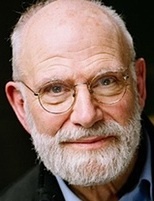 Sad to hear that cancer has taken Dr Oliver Sacks at age 82. Like so many others, I was inspired by his curiosity and engagement with patients -- and his capacity to tell their stories and the story of the human condition. What came as a later surprise was his willingness to discuss his own demons, including a severe shyness, face blindness, and "staggering bouts of pharmacological experimentation" in his youth. Epic Selfie ~ NASA's Earth & Far Side of Moon! LEGO Brickumentary ~ Sharing a True Toy Story!